We begin with rich Starbucks coffee, blended with milk for a creamy, delicious flavor. Then we enhance this premium coffee drink with ginseng, guarana and B vitamins – a great-tasting way to help you own the day. Looking for a delicious something extra to help you power through your day? This premium coffee drink is enhanced with ginseng, guarana, B vitamins and rich vanilla flavor, perfectly blended with bold Starbucks coffee. This premium coffee drink – enhanced with ginseng, guarana and B vitamins – is just what you need to appease your sweet tooth on your way to owning the day. Do you love hazelnut? How about energy? We’ve got just the thing. 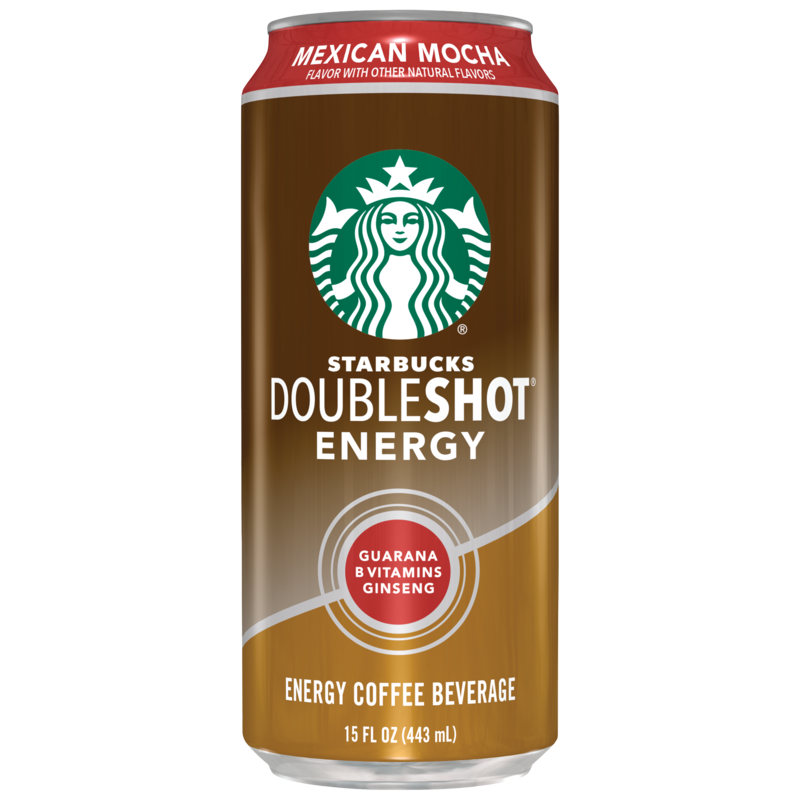 Doubleshot Energy is a perfect blend of ginseng, guarana, B vitamins, hazelnut flavor and rich, bold, Starbucks coffee. Drink some. Then own the day. Combining rich, bold, expresso with eye opening spices with a kick of cinnamon and cayenne … Doubleshot Energy Mexican Mocha delivers a unique coffee experience that inspires. It all starts with rich, bold Starbucks coffee. Every can packs notes of smooth vanilla and—get this—20 grams of protein. It’s the lift from coffee and the power of protein. Put yourself in the lead. Start with rich, bold Starbucks coffee. Then add in a delicious dose of dark chocolate. And the real kicker? Twenty grams of protein in every can. When days are long, you stay strong.